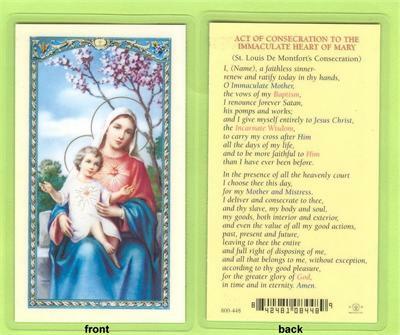 Act of Consecration to the Immaculate Heart of Mary, Laminated Holy Card, 25-pack,. # 59070. 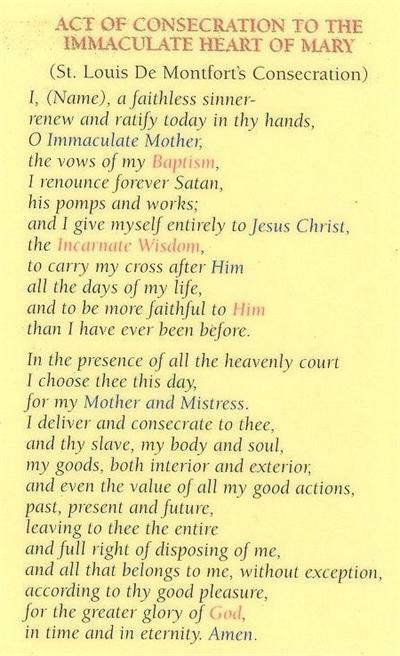 Home > Prayer Cards > Laminated Prayer Cards > Act of Consecration to the Immaculate Heart of Mary, Laminated Holy Card, 25-pack,. # 59070. Laminated holy card with an image of Our Lady and the Child Jesus with the Act of Consecration to the Immaculate Heart of Mary. Approx. 2-5/8 x 4-3/8 in.